The air-conditioner is one of those most popular household appliances in Singapore, where it is able to cool down the home or office in a hot and stuffy weather like Singapore. In order to keep ourselves cool from the hot weather, you can see that air-conditioners installed everywhere you go, such as shopping malls, MRT, office, house, cafe and many more. Thus, it is important to keep your air-conditioning system in tip top condition by having regular maintenance. If you are looking for reliable Mitsubishi Heavy Industries aircon servicing in Singapore, you can look for us. With years of experience in providing quality aircon services to various air-conditioning system, including Mitsubishi aircon in Singapore, you can safely hand us your units and let our professionals take care of your air-conditioner. Mitsubishi is the world’s first manufacturers to manufacture the wall mounted split system that integrates innovation, eco-environment and advanced technology into their air-conditioner system. They are well-known for its air-conditioner where it has achieved enhanced efficiency through various features and operation which results in a higher energy saving capability. It has been in the air-conditioning industry in Singapore for more than 25 years and have a good reputation for its reliability and durability. At Wei Wei Aircon, our technicians are well trained in different types and brands of air-conditioner, including Mitsubishi. 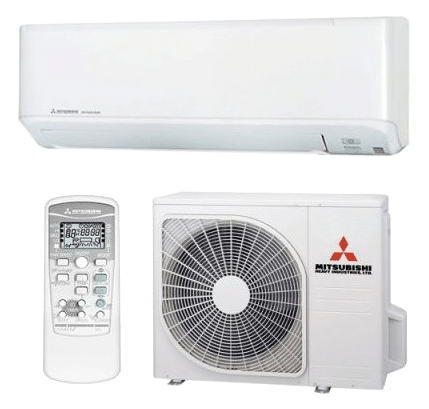 Regardless, you require Mitsubishi Heavy aircon servicing or repair in Singapore, we are able to perform it and ensure that your air-conditioning is in good working condition. Our teams of technicians are well-trained, qualified and experienced where they have the knowledge and years of experience in the air-conditioning industry. Hence, if you require servicing or having issues with your air-conditioning system, our technicians will arrive at your premises and perform the necessary tasks such as inspecting your system, diagnose the issues and fix it professionally. Other than that, when our technicians are performing the servicing, they will carry out checks around your air-conditioner system and ensure that your air-conditioners are being serviced and cleaned, and also ensure that the different components are operating and in good working condition. Thus, if you require Mitsubishi Heavy Industries aircon servicing in Singapore, feel free to contact us to book a servicing appointment today. Other than servicing, we also provide repair for various types of Mitsubishi Heavy air-conditioner, in all residential, commercial and industrial properties. Whether you have wall mounted split system, ceiling cassette, ceiling suspended, ceiling ducted, VRF system or a different type, we are able to keep your Mitsubishi aircon system in good working performance level. Despite being reputable for its reliability and durability, during its lifespan, it can still encounter issues such as aircon leaking, aircon not working and other issues. Hence, always ensure that your air-conditioner is being checked and these issues are being rectified by professionals to prevent any worsening of the problems. With trainings and years of experience repairing different types and brands of air-conditioner, including Mitsubishi Heavy, we are able to perform services such as repair Mitsubishi heavy aircon in Singapore professionally. Contact us if you would like us to check and troubleshoot your Mitsubishi Heavy aircon. When you operate your air-conditioner, there will be dust, dirt and debris accumulated around your system over time. Depending on the environment and usage of your air-conditioning system, the condition of your units can be improved by general aircon servicing. However, in some cases, when general servicing could not improve the condition of the units, you can consider Mitsubishi Heavy Industries aircon chemical cleaning. Chemical wash is one of the effective aircon services in Singapore, where it can thoroughly wash out all the dirt, dust and even mold and bacteria in the system. It has many benefits such as stronger air flow, improve cooling efficiency, cleaner and healthier air and reduce the possibility of breakdown problems. With the increase in operating, cooling and energy efficiency, it will reduce the overall power consumption of your system and reduce the energy bills of your system. Feel free to call us if you require a chemical wash Mitsubishi Heavy Industries aircon. All air-conditioner systems, regardless of its brands and types require regular servicing and maintenance to keep it in good operating condition. Regular Mitsubishi Heavy Industries aircon maintenance is able to help to improve the operating efficiency, improve airflow of the system and many more. By engaging our maintenance services, our technicians will perform regular checks in your system and ensure that the different components and parts in the system are in working condition. If there are any aircon problems detected during the routine checks, our technicians will diagnose the cause of the problems and fix it. This will ensure that any potential problems in your air-conditioning system can be diagnosed and rectify in its early stage. Hence, this will prevent the problems from worsening which can cause additional repair cost to the owners. We are confident in providing top notch aircon maintenance Mitsubishi Heavy Industries services in Singapore. Mitsubishi Heavy Industries manufacture different types of air-conditioner such as wall mounted split system, ceiling cassette, ceiling suspended, ceiling ducted, VRF system and many more. At Wei Wei Aircon, we are able to install a wide range of air-conditioner such as different types and brands. All of our aircon installer are certified and have the knowledge and experience in aircon installation. Our professional installer has the equipment, tools and experience in installing air-conditioning systems for all residential, commercial and Industrial premises. Feel free to contact us if you require any installation or replacement services for Mitsubishi aircon. As a professional and reliable air-conditioning contractor in Singapore, we are able to meet all your air-conditioning needs in Singapore. If you are looking for qualified and reliable Mitsubishi Heavy Duty Industries aircon servicing or repair services for your home or office, you can look for us. We will ensure that your air-conditioning system is being serviced and maintained in top notch condition. Feel free to contact us for more information about our aircon services.